ECONOMYNEXT – Sri Lanka’s government has failed to carry out a controversial proposal to set up a an ‘Export-Import bank’, to support businesses venturing overseas, for the third straight year, a think tank said. The study, presented ahead of the government’s 2019 budget next month by the Verité Research think-tank, said the Exim Bank was to be set up as a joint initiative between government and industry. The proposal is controversial and Sri Lanka has itself seen corruption by foreign Exim bank financed projects linked to both Eastern and Western governments. “The proposal to set up an Exim Bank with state participation to cater to the international trading sector is another misconceived venture though it is going to be a public private partnership,” top economist W A Wijewardene had warned. “The Government has already burnt its fingers in the banking sector by getting the public funds to buy private banks and establishing two state banks on similar lines earlier. Successive budgets had promised the Exim bank in 2016, 2017 and 2018 with the government spending allocation increased from 50 million rupees as seed capital to 10 billion rupees. 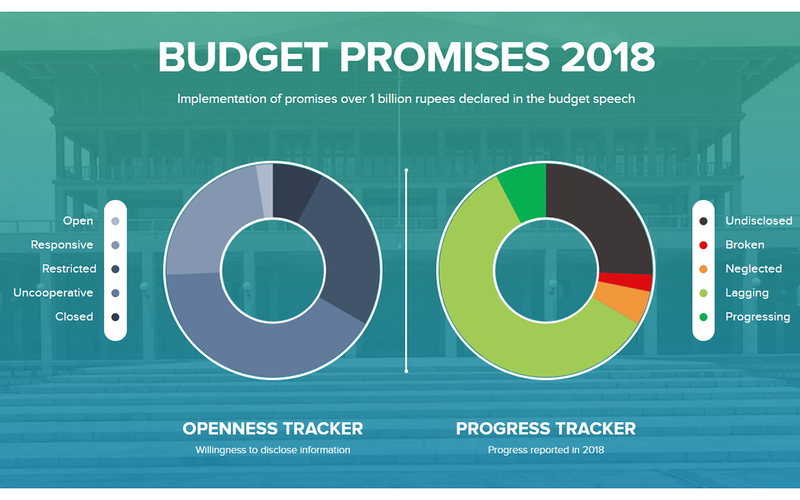 “We were told even with 10 billion rupees allocated in the 2018 budget, the funds for the promised Exim bank is not enough,” said Hasna Munas, an analyst at Verité Research.